Join Free Ventures for our semi-annual Demo Day on December 3rd from 7-9PM on UC Berkeley's campus! This event features the university's brightest students, founders, and faculty, as well as prominent investors, founders, and operators from the Valley. The evening will begin with brief pitches from our Batch XI startups, followed by light refreshments and a mixer to meet our founders and other attendees in a casual setting. We're excited to show you what our teams have been working on this semester and hope to see you all there! For a sneak peek at Batch XI, you can read more about our founders below. To learn more about the Free Ventures program and our portfolio, read more below or check out our website for more details. Atlas Mental Health is building a K-12 mental health support network to supercharge communities with the knowledge and tools they need to keep each other mentally healthy. Their mobile applications connect parents, students, and schools to prevent student suicides and lower barriers to getting help for those that need it. Fourthstate Labs is a blockchain scalability company working on Plasma, a layer 2 solution to reduce transaction fees and increase throughput of blockchains. Plasma allows users to step off the main chain(i.e. Ethereum) onto cheaper and faster side chains where transactions can be conducted. COBA is a solid coffee alternative made from whole coffee beans that empowers busy people to do more. While traditional coffee utilizes only 20% of the coffee bean, their bar utilizes the whole bean and contains the caffeine content of 1 cup of coffee. Escape is is creating an enhanced augmented reality experience through proprietary optical architecture that will enable a compact, lightweight headset with high shareability and field of view. Pit Vidura offers safe and affordable sanitation services for low-income households in dense urban slums. By developing innovative hardware and software tools, they aim to make emptying pit latrines hygienic, efficient, and affordable. Our founders have gone on to become Forbes 30 Under 30, build companies that are changing the world, and continue to develop the college startup scene by creating The House. We have helped our 53 alumni teams raise over $35 million from top firms such as Y Combinator, Greylock, KPCB, and Accel. Collectively they’ve gone on to tackle problems in drones, IoT, VR, AI, real estate, health care, FinTech, and renewable energy, to name a few. Free Ventures is UC Berkeley's leading pre-seed startup incubator, crafting highly individualized paths for student founders across industries and academic backgrounds in a 3-month program. As the university's only nonprofit program run by students, for students, we aren’t pressed for returns or exits. Instead, we spend our full time cultivating relationships with top undergraduate and graduate student groups, and curate a support network of top venture capitalists, resource partners, founders, and thought leaders from the Valley for our portfolio. In doing so, we make entrepreneurship accessible to Berkeley students of all backgrounds by empowering them with the support to innovate and build. 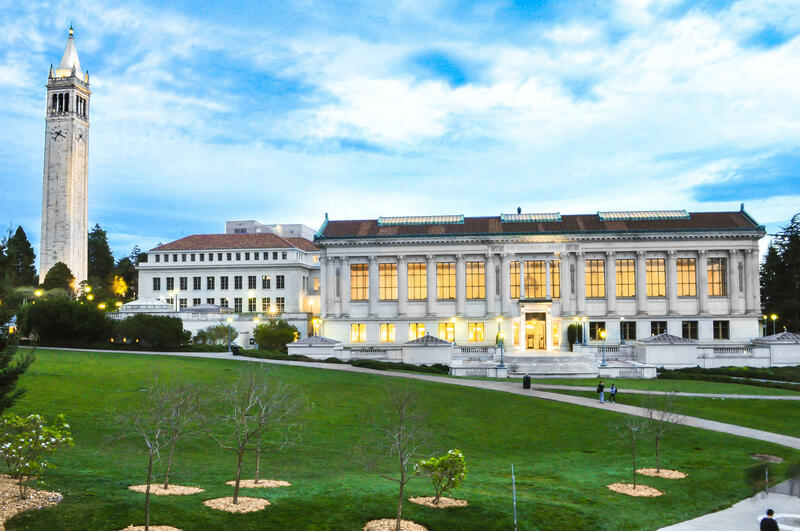 Batch X Demo Day will take place at The House, directly across from the Berkeley Campus. Ari is a venture partner at Khosla Ventures, where he focuses on enterprise, infrastructure, cloud computing, data management, security and programming frameworks and languages. Prior to joining Khosla Ventures, Ari was the chief technology officer at Hortonworks, the premier commercial vendor of Apache Hadoop, the de facto open source platform for storing, managing and processing big data. While there, he helped build the product management, sales and services teams and led the company to ship it’s initial product. Ari also brokered several initial partner integrations and designs. More recently, he worked closely with customers building multi-thousand node clusters and designing business solutions on the platform and with the founding architects driving new features into the open source core itself. Ari also helped shepherd the company’s successful initial public offering. Mar Hershenson is a co-founder and Managing Partner at Pejman Mar Ventures, a seed-stage investment firm in Palo Alto. At Pejman Mar Ventures, Mar works closely with founders to take companies from an idea to defining business. Mar has been recognized in the Midas Brink List of Top Tech Investors in 2015. Mar received her PhD in Electrical Engineering from Stanford University in 2000 for her breakthrough work in circuit design automation, and taught the Analog Circuit Design course at Stanford for over a decade. Mar made her mark as an entrepreneur by co-founding three companies: Barcelona Design, Sabio Labs, and Revel Touch. She ran each company from day one, being deeply involved in all aspects of the business, including product definition and development, business strategy, sales, recruiting, and financing. Post the acquisition of Sabio labs, Mar served as VP of Product Development for Magma Design Automation's Mixed Signal division. Mar has received many awards throughout her career. Among them, the renown T35 Young Innovator Award by MIT (for her technical work), and the prestigious Marie R. Pistilli Women in EDA Achievement Award in 2010 (for her work in entrepreneurship). Mar currently serves on the board of Palo Alto Community Child Care and is a technical advisor to the U.S. Soccer Federation. Jeremy Fiance is the Berkeley startup investor, dedicated to strengthening Berkeley’s startup community and equipping Berkeley founders with the tools needed to build great businesses. Jeremy was previously an investor at Keiretsu Forum, CrunchFund, and Dorm Room Fund SF. As an entrepreneur, Jeremy co-founded a health data science startup called Dropsense backed by Skydeck Berkeley and the Foundry @ CITRIS and actively advises several Berkeley startups, including Lily. While a student at UC Berkeley, Jeremy proved the campus’ startup potential co-launching several initiatives, including Kairos Society Berkeley and Free Ventures, that have sparked over 50 startups. Outside of the technology and startup world, Jeremy is a black belt in Tang Soo Do, table tennis gold medalist, self-proclaimed cartoonist, live music enthusiast, and die hard Cal Bears fan. Jim is a co-founder of Silicon Valley Data Science. He is currently a Venture Partner at Crosslink Capital and has Board seats at Ayla, Coraid (observer), 365 Main. Prior to joining Crosslink, Jim was the head of US investing for 3i Ventures, a global venture capital fund. Jim’s track record in the venture industry spans nearly two decades with experience at several of the industry’s leading firms. Before 3i, he was a Partner at ComVentures. Previously, he was a founder of Bedrock Capital Partners where he led the Information Technology practice. Prior to Bedrock, he served as a Partner at Highland Capital Partners and as an Associate at Accel Partners. Over his career, Jim has led a number of successful investments including UUNet (sold to Worldcom), Polycom (PLCM), Alantec (sold to Fore Systems), Centillion (sold to Nortel), Boston Communications Group (BCGI), NewCity (sold to Clear Channel), New Oak (sold to Nortel), Sonus (SONS), Arbinet (ARBX), Site Smith (sold to Metromedia) and V-Bits (sold to Cisco). Craig Walker is CEO and co-founder of Dialpad (formerly Switch Communications). Dialpad is communications for the modern worker, delivering voice, video, text, messaging, screen sharing and audio conferencing with Google Apps for Work and Microsoft Office 365 integrations. Prior to Dialpad, Craig was the first EIR at Google Ventures and ran Real-Time Communications at Google. With more than 15 years of communications industry experience, Craig built the companies and led the teams that brought Google Voice and Yahoo! Voice to tens of millions of users. Craig is a graduate of UC Berkeley (BA), Georgetown University (MBA), and Berkeley Law (JD). He is a recipient of the 2014 Georgetown Entrepreneurial Excellence Award, and a member of the Telecommunications and E-Commerce Committee for the US Chamber of Commerce.